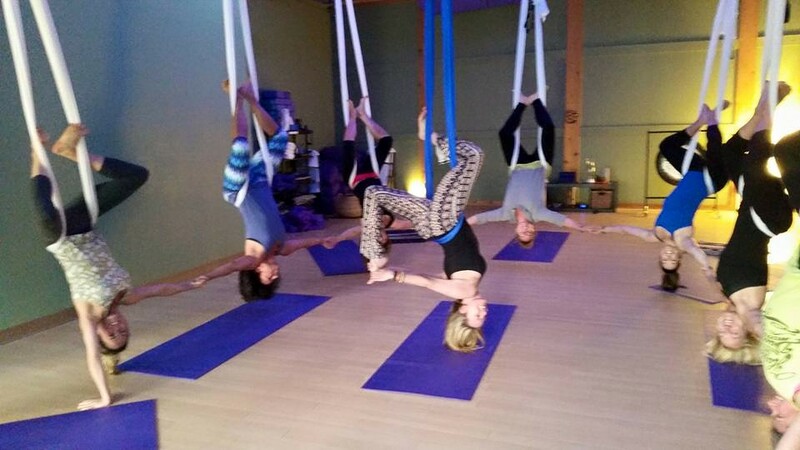 Unnata Aerial Yoga takes a traditional yoga class and elevates the experience! Asanas (postures) are practiced with focus on breath, alignment, and meditation as we work with gravity to experience muscle release, body alignment, and greater strength. Class size is limited to only 8 people, so please register ahead of time on-line. If you have any medical issues that prevent you from inverting or back-bending (glaucoma, heart condition, spine injury, etc), please obtain your doctor's permission. Class fee is $25/person. BOOK NOW!